Home Dresses	Classic Navy and White for Spring! 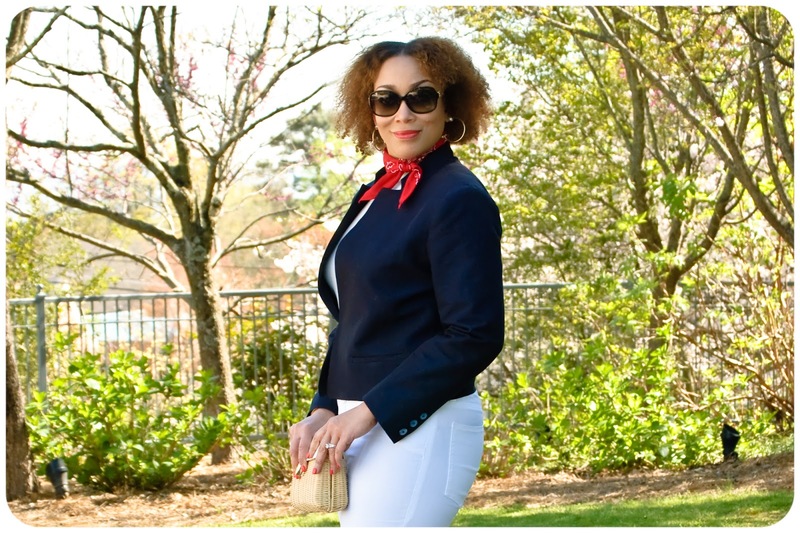 A navy blazer is classic and timeless. It’s also essential to my wardrobe and the reason I needed to feel that hole. 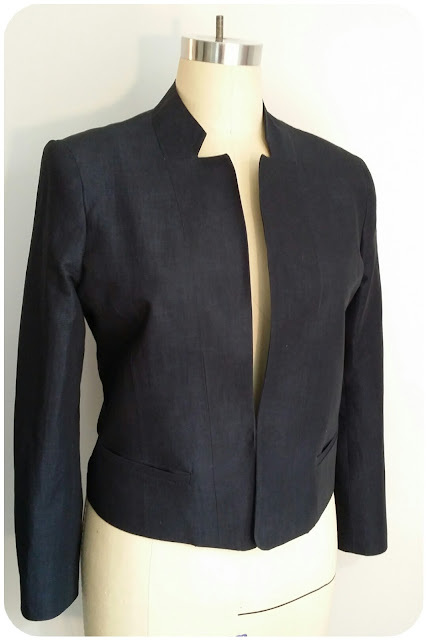 I’d run across this fabulous Theory Uniform Navy Striped Stretch Cotton-Linen Blend from Mood Fabrics.com. I knew it would be perfect for a jacket. I selected Vogue Patterns 1439, from designer Anne Klein. I love Anne Klein patterns. 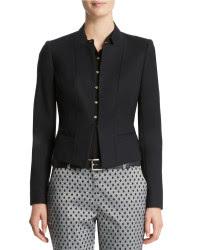 The styles, especially the jackets and pants have excellent tailored details and classically-chic styles. Here is the ready-to-wear version which is currently sold out. I cut the size 14. I like to give myself room with jackets. 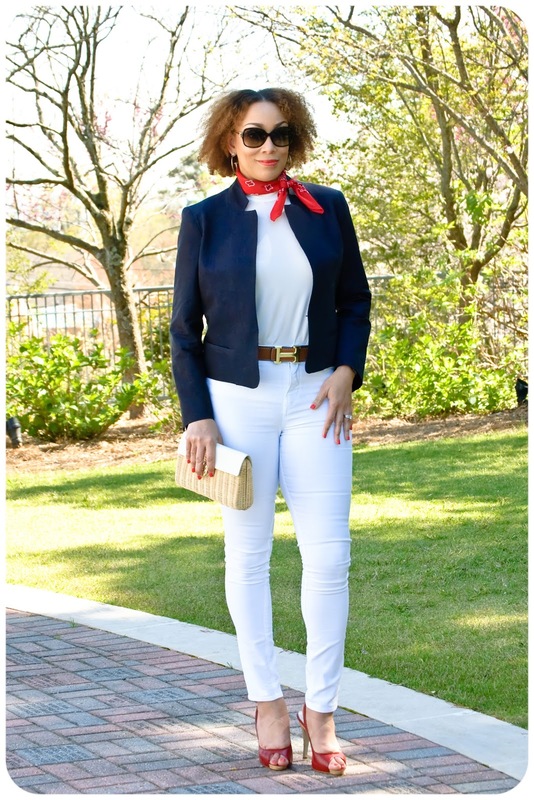 Even though this is a cotton-linen blend, it’s still navy. I will wear this into the fall and layer it on top of shirts and maybe lightweight sweaters. I also added an inch to the length at the waist. 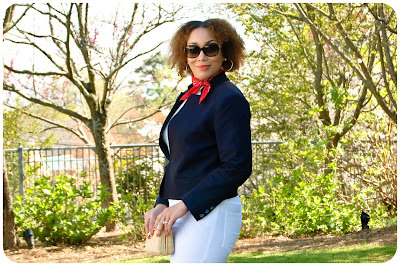 I love the collarless, notched lapels. Unlike a lot of jacket patterns, this one suggest that not only you interface the facings, but the full front. 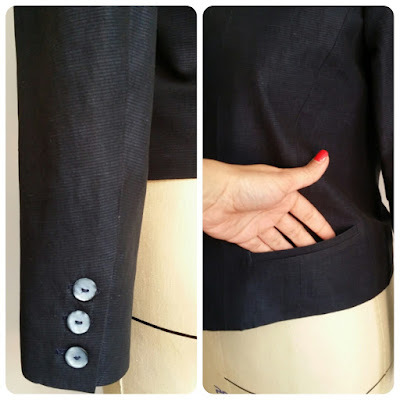 And there is also a sleeve cuff interfacing pattern. Those are significant places where interfacing is needed. 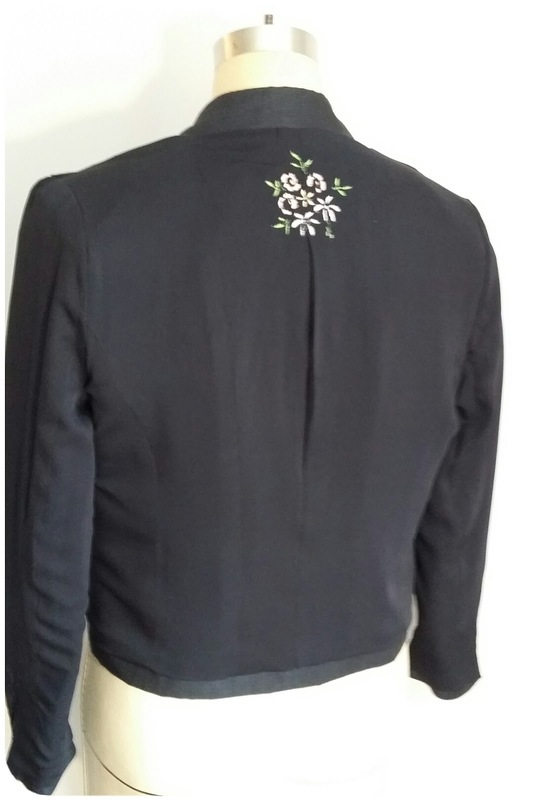 The jacket also has two-piece sleeves with vents and single welt pockets. Don’t you hate when you can’t find the perfect buttons in the size that you need? Yeah, me too. This pattern suggested four buttons in a 5/8″ size. I couldn’t find anything I liked. So, I ended up picking these 3/4″ buttons and I only needed to use 3 on each sleeve. The pockets are simply decorative, because they aren’t deep enough for a single thing. The fabric pressed to a crisp finish and it remained pretty polished even while wearing. Not a lot of wrinkling and creasing. So that truly makes this fabric a winner. For the lining, I used Donna Karan Navy Solid Stretch Silk Georgette. The cotton-linen fabric has stretch, so the lining needs to have stretch too. And I added a touch of spring to the lining with my embroidery machine. Under my jacket, I’m wearing Burda 6795. I cut the size 12, and I added an inch to the length. This is a really quick top sew, being that it only has 3 pieces. 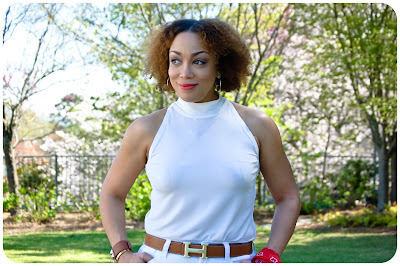 I used Italian White Creme Stretch Viscose Ribbed Knit. It’s pretty sheer and it has a lot of stretch. 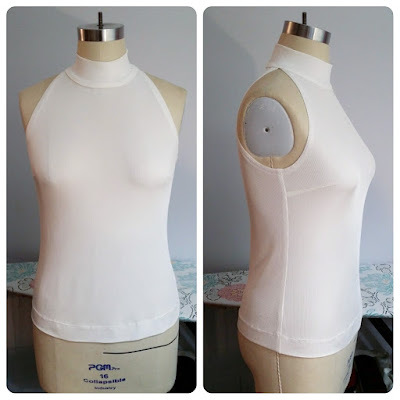 I think it works great for a top, but I would definitely need to be lined for a dress. For the armholes, I stabilized them with clear elastic. I also made my jeans a couple of weeks ago. 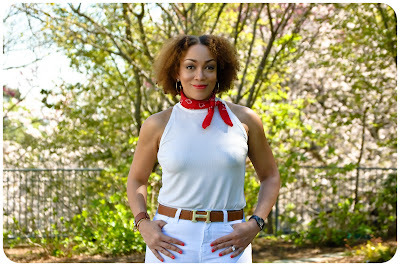 I used this amazing White Stretch Cotton Blended Denim, and it’s super comfortable. I’m pretty pleased with this outfit. These are all classic pieces that will get a lot of wear in my wardrobe.